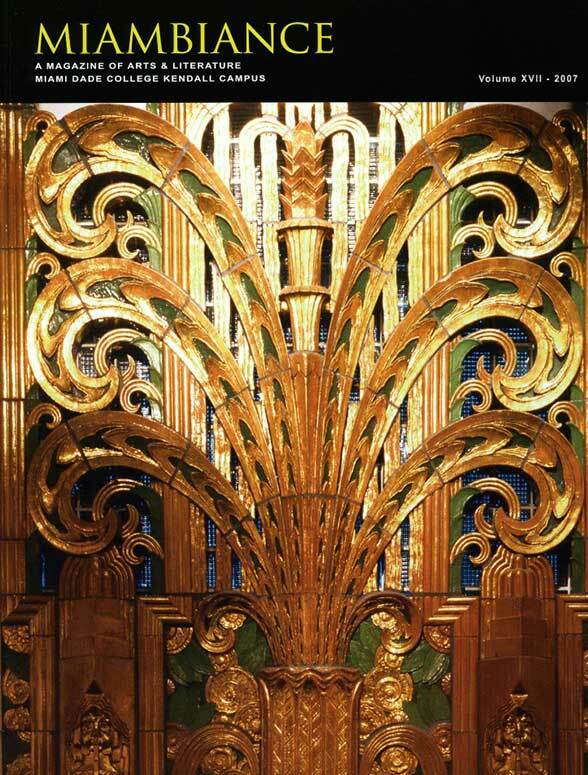 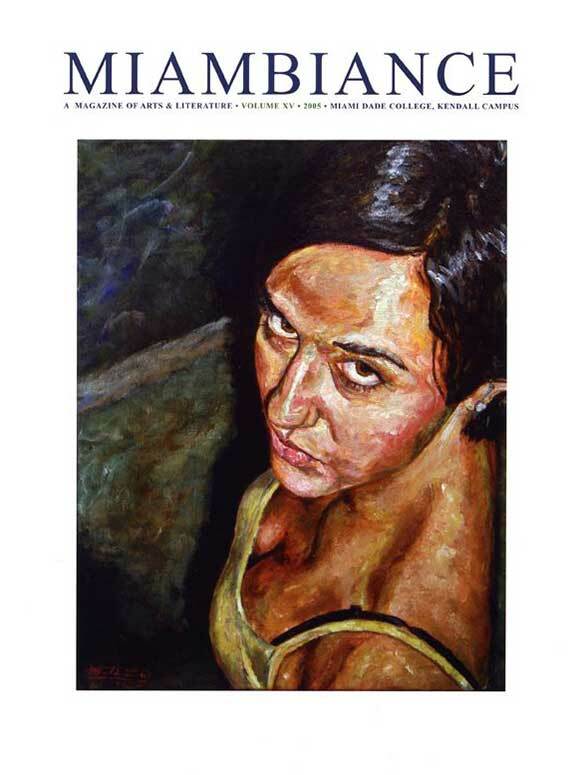 Click the cover to view current issue. 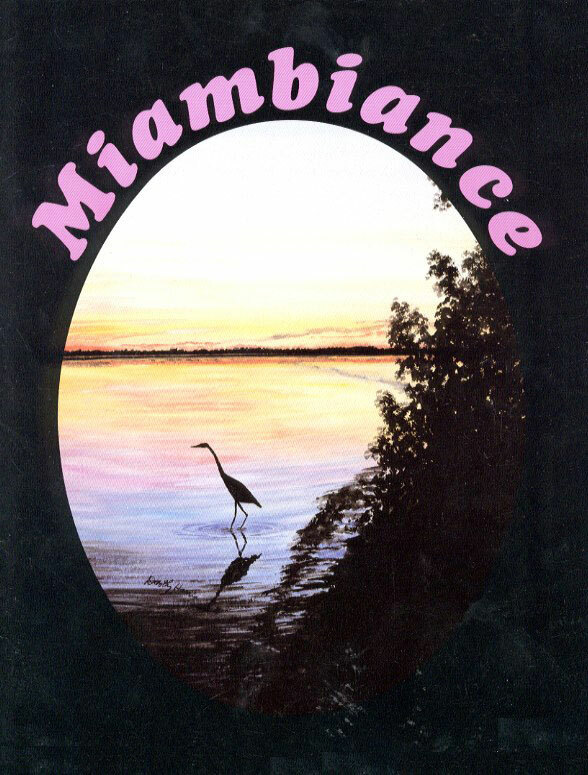 Miambiance's mission is to support creative talents by providing a learning environment in which student writers can polish their work for publication and learn the basics of editing, designing, illustrating, and other aspects of publishing. 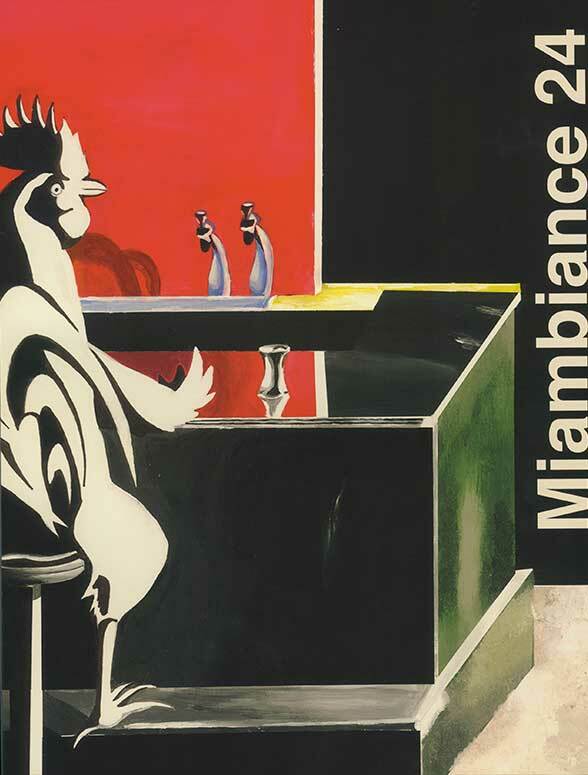 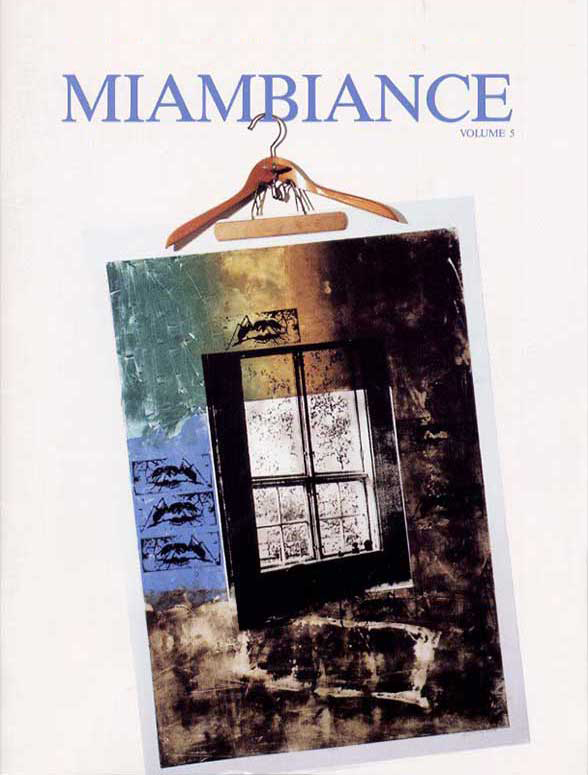 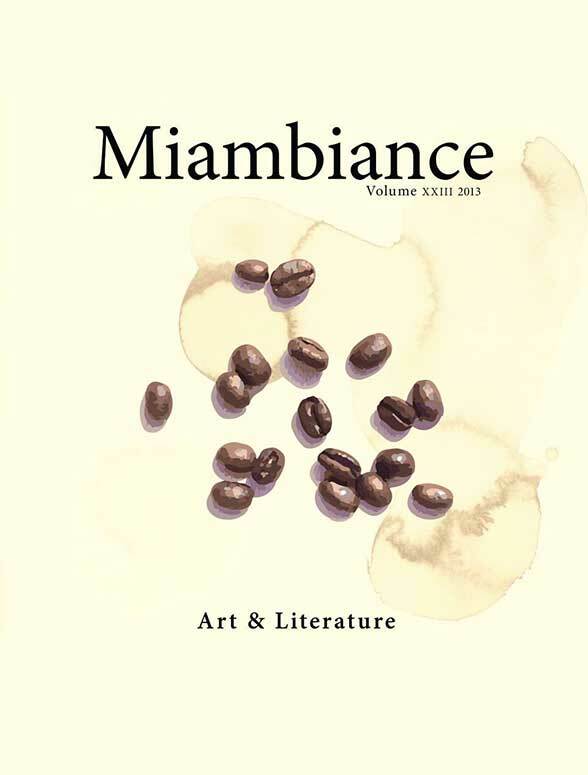 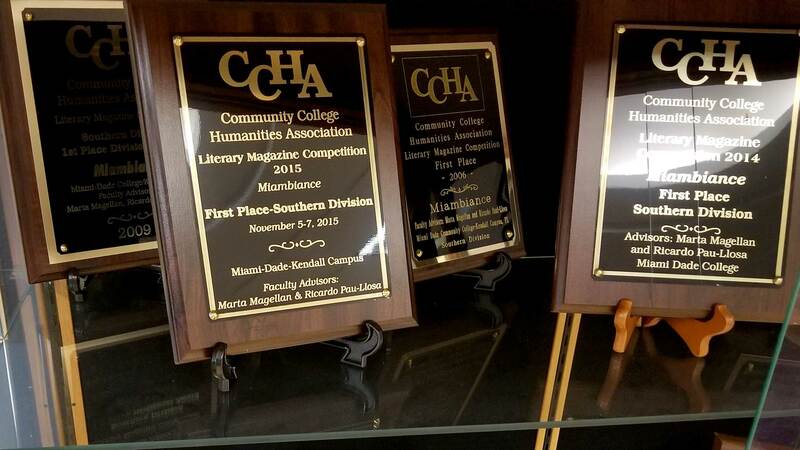 Miambiance accepts submissions of poetry, fiction, non-fiction, photography, illustration, spoken word poetry, and music from Miami Dade College students who are currently enrolled in any course at the Kendall Campus. 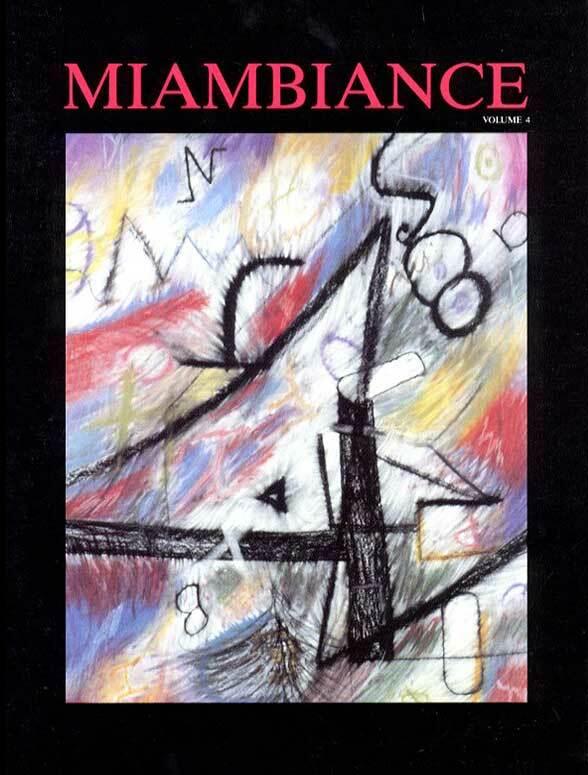 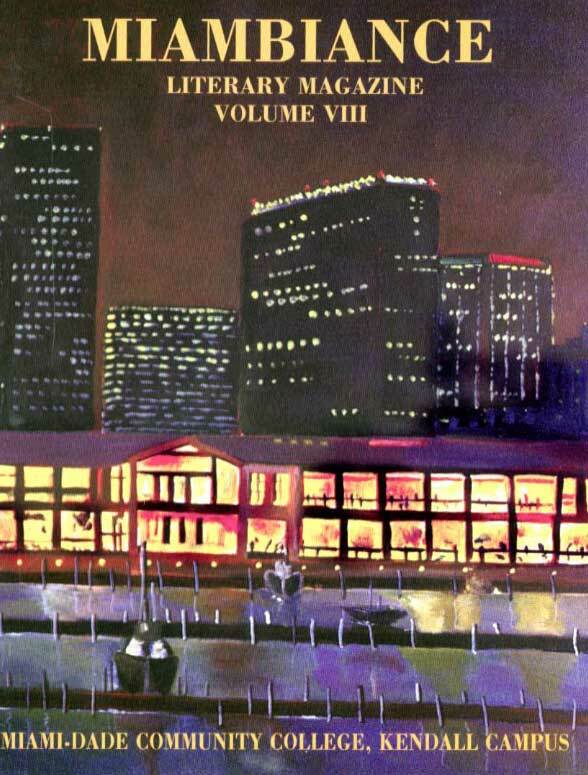 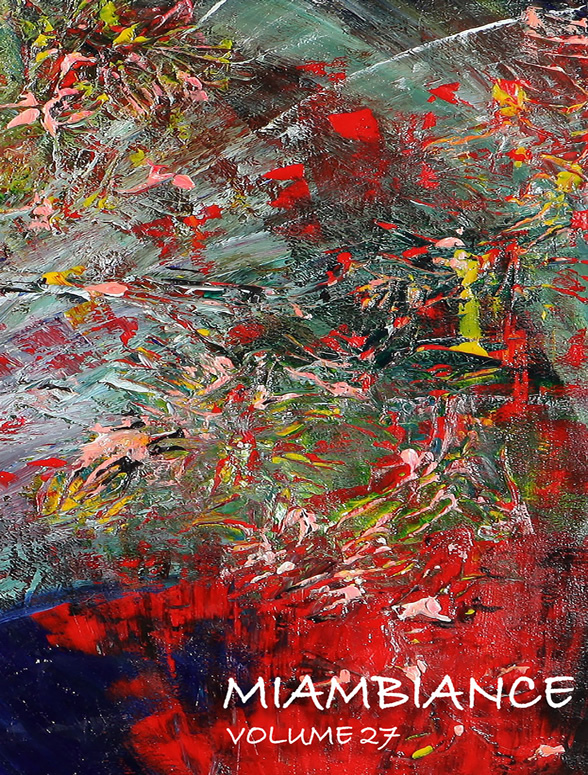 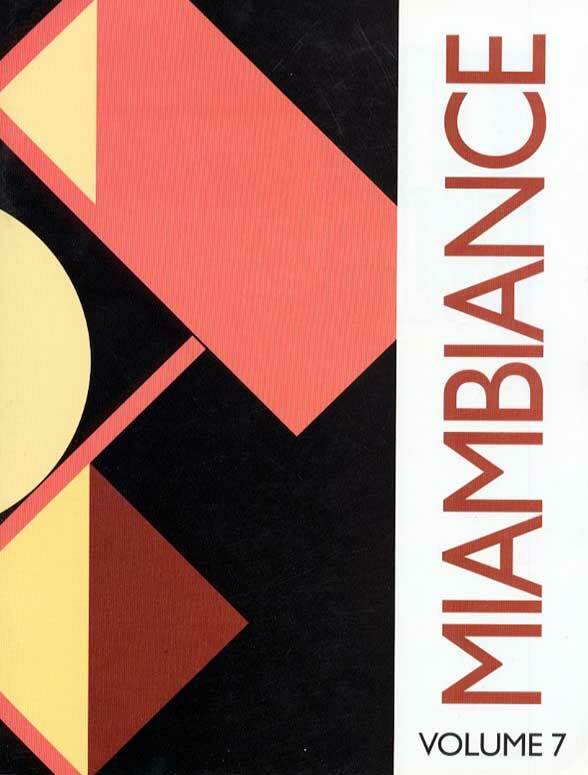 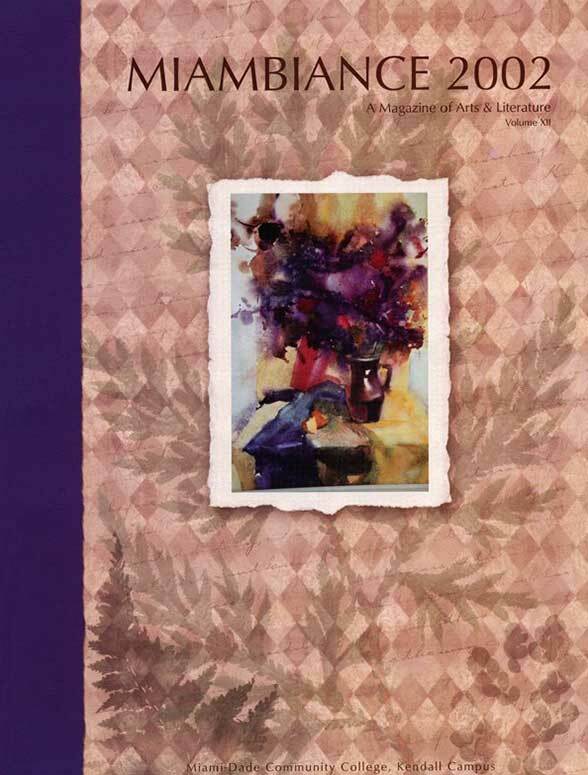 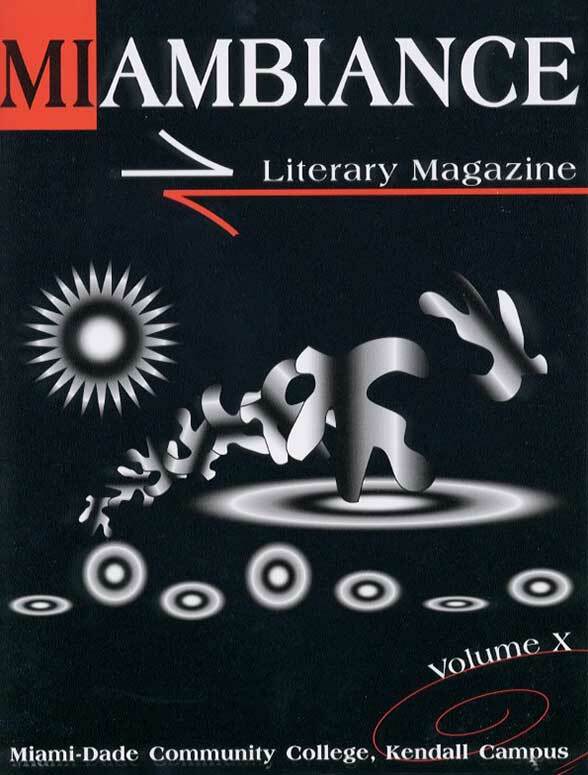 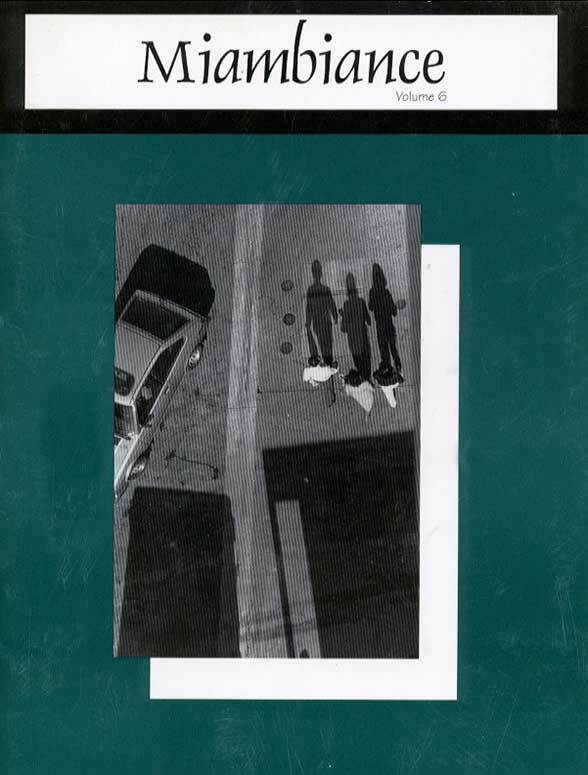 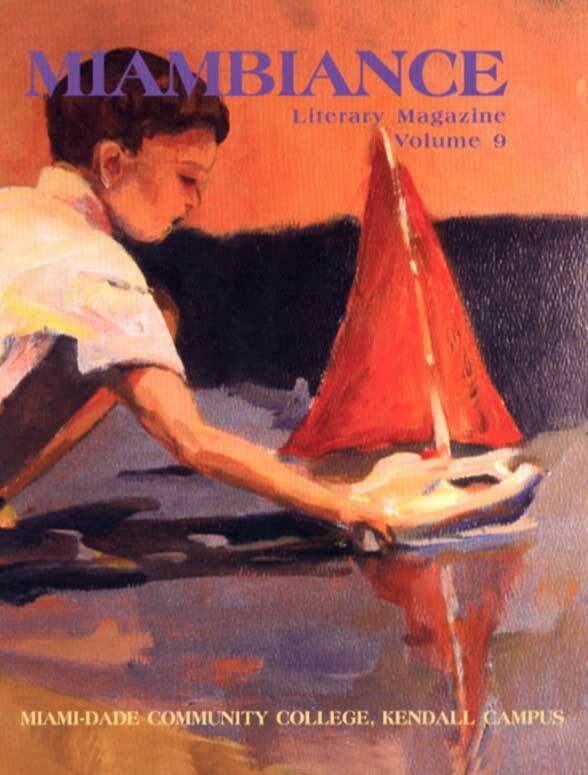 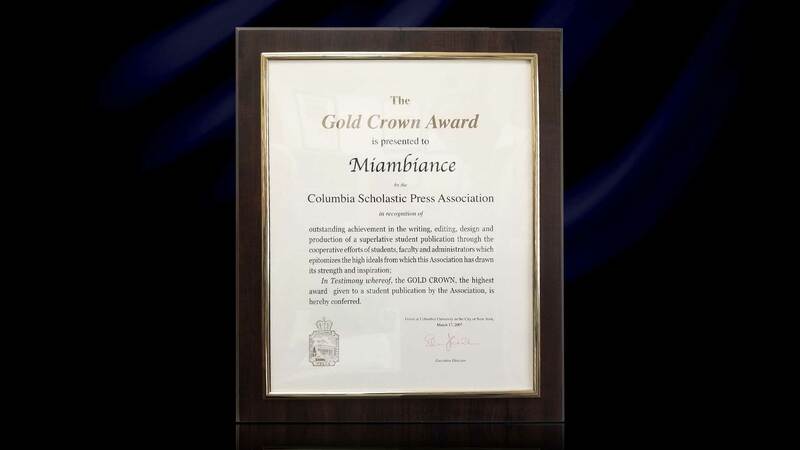 Miambiance is an award-winning literature and arts magazine, published once a year by the English and Communications Department. 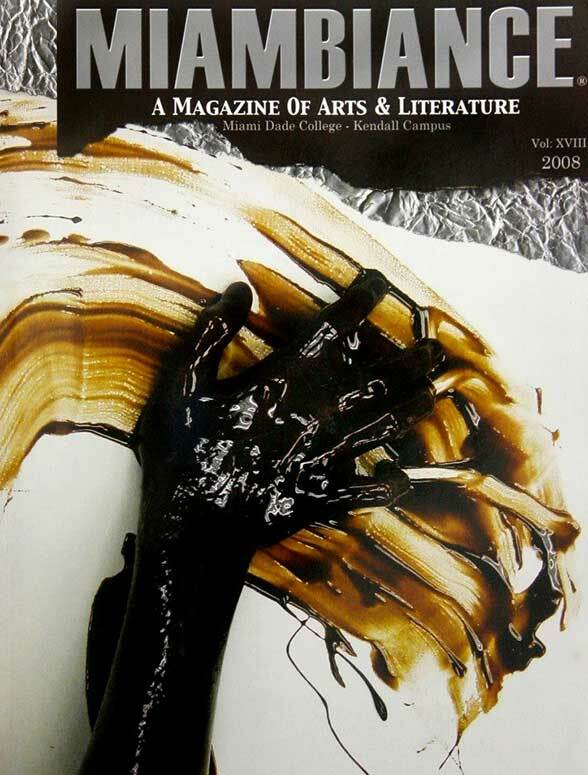 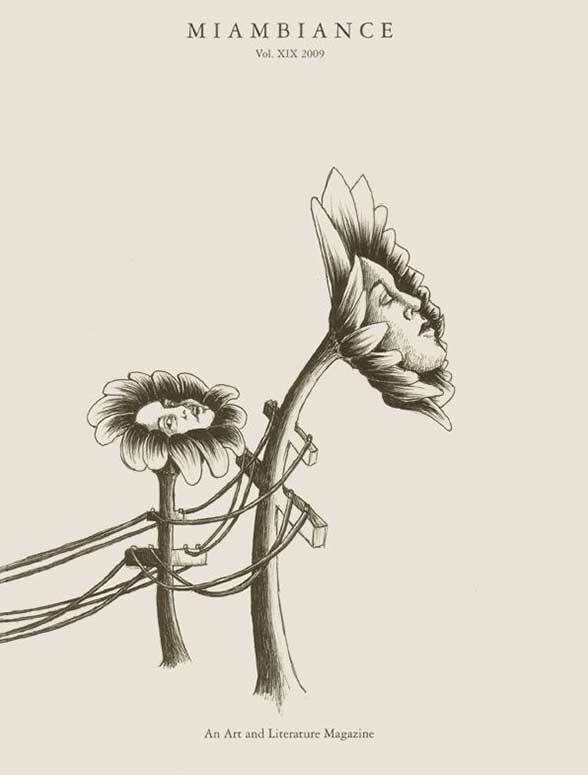 All works in the magazine are created, designed, and edited solely by students. 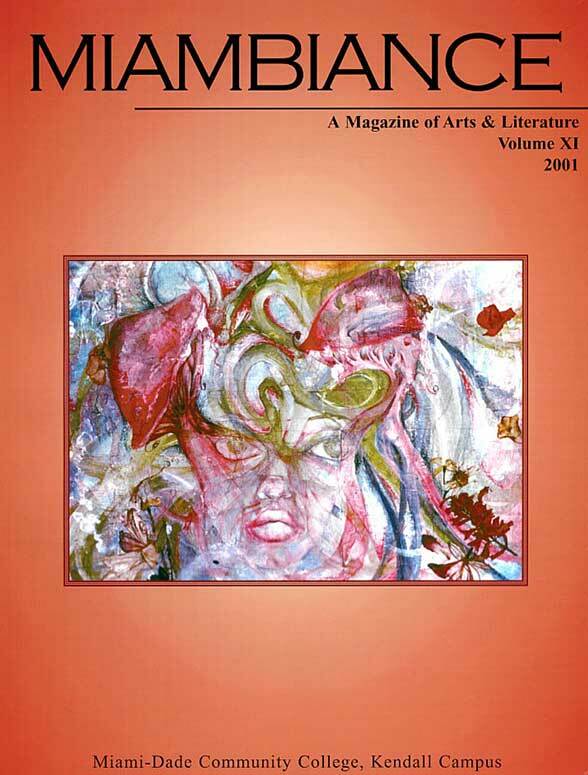 The decision about works selected for publication is made by a panel of students for each category. 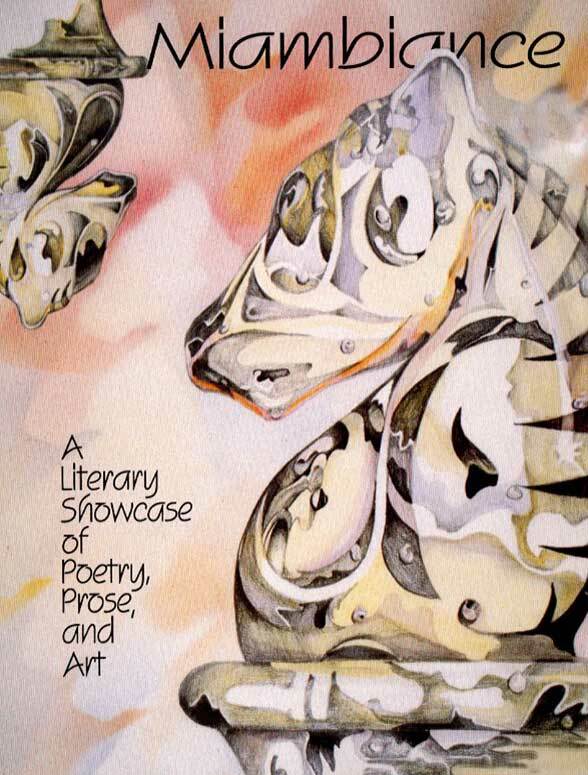 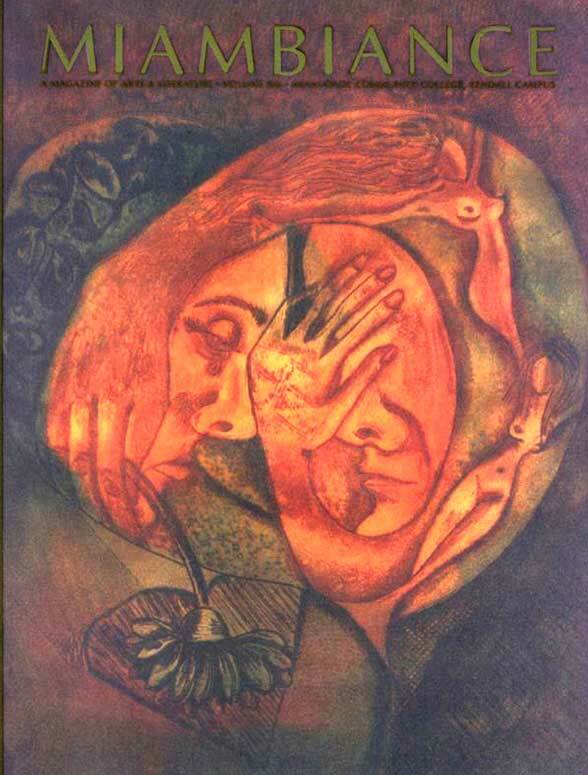 Have a piece you would like to submit? 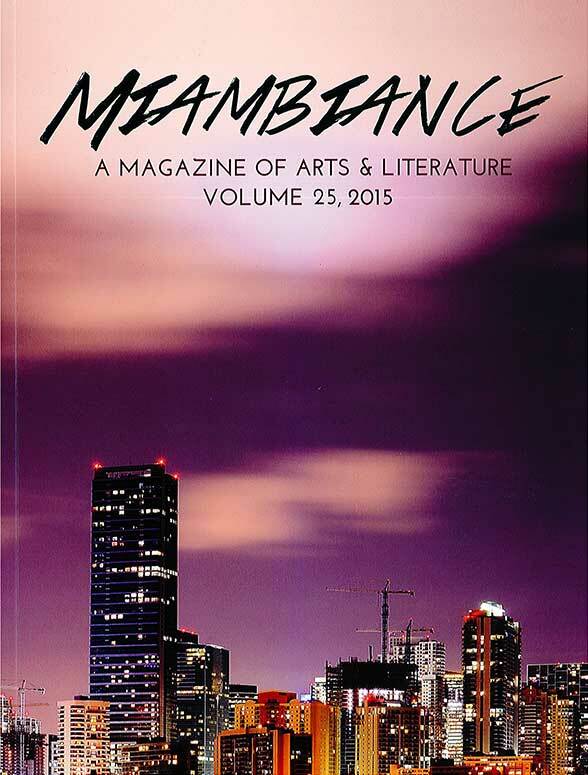 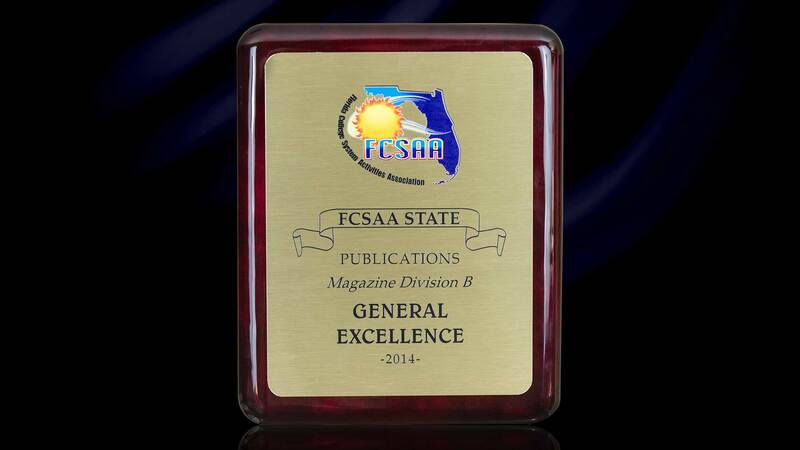 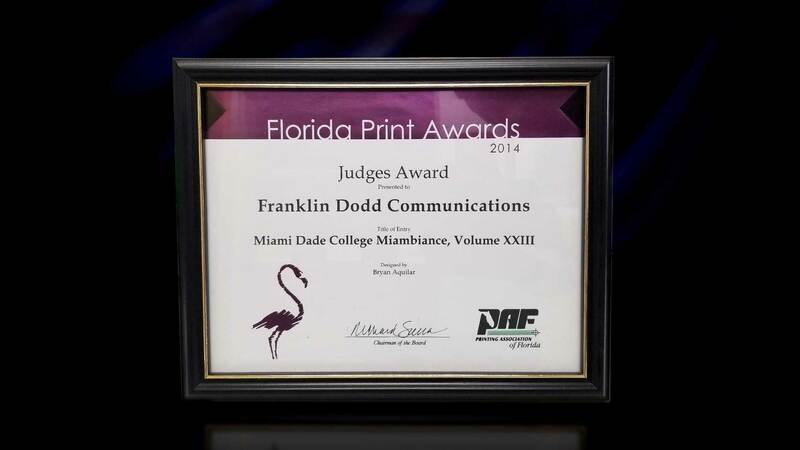 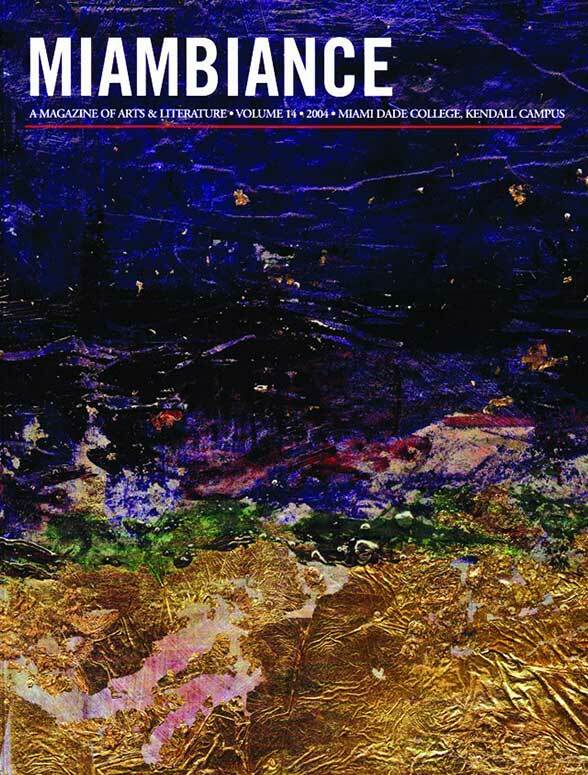 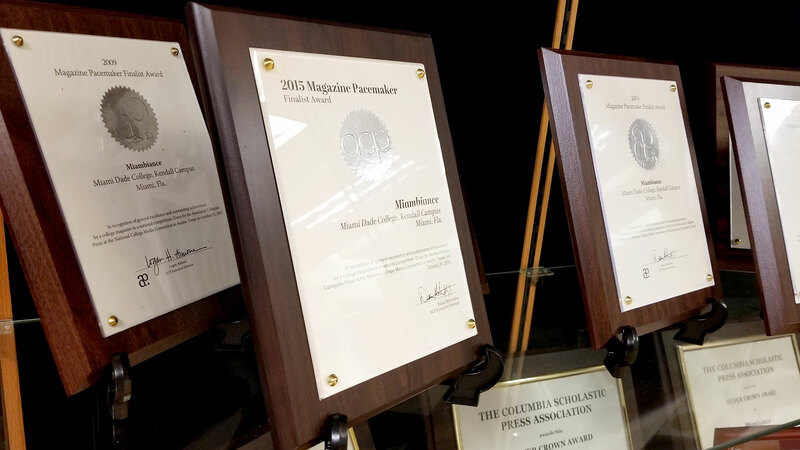 Thank you for your interest in being a part of Miami Dade College's award winning magazine! 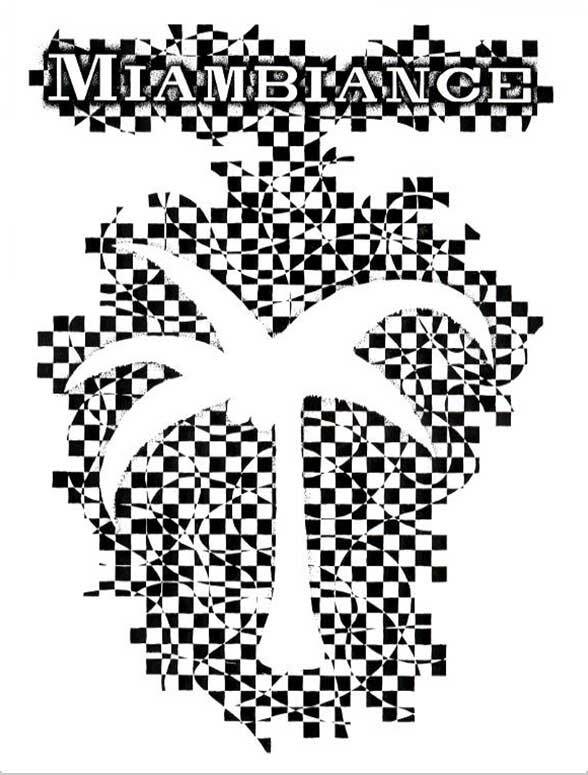 Though we are very excited for your desire to share your work with us, we need to get some legal stuff out of the way first. 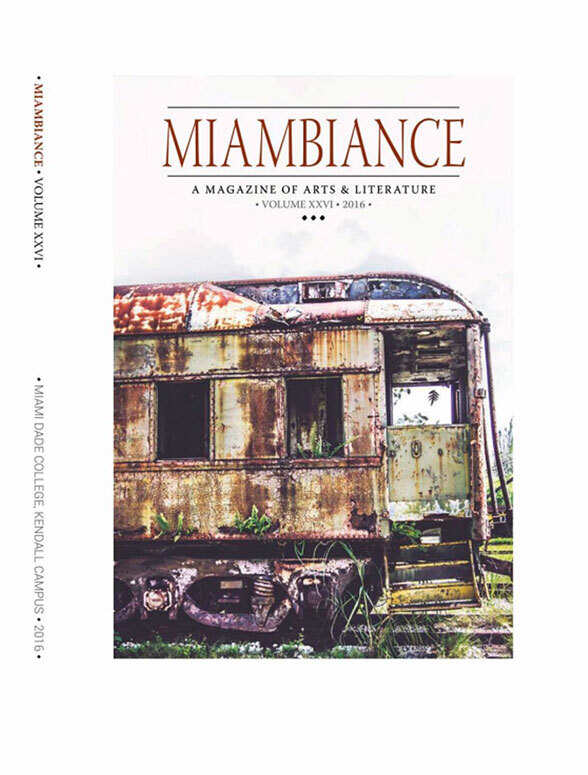 In order to submit your work, please download and complete the appropriate consent form: then send the form over to us via email, miambiance@gmail.com. 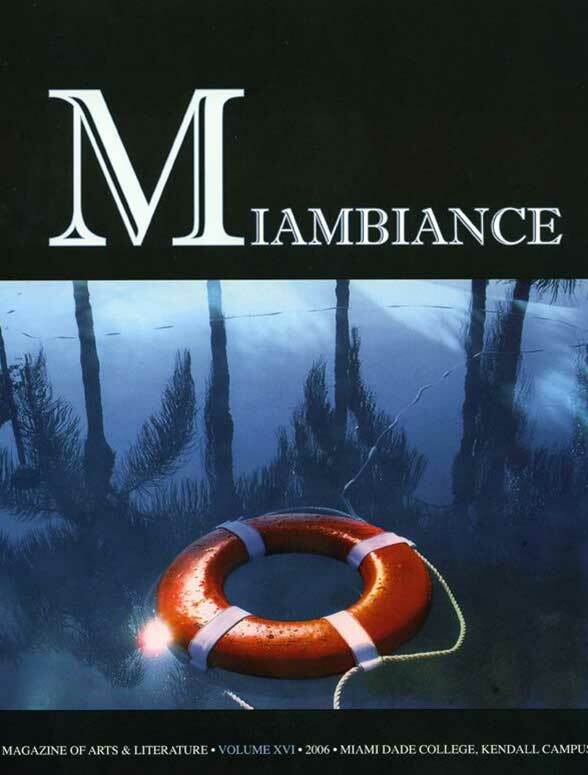 One of our friendly staff will contact you as soon as possible. 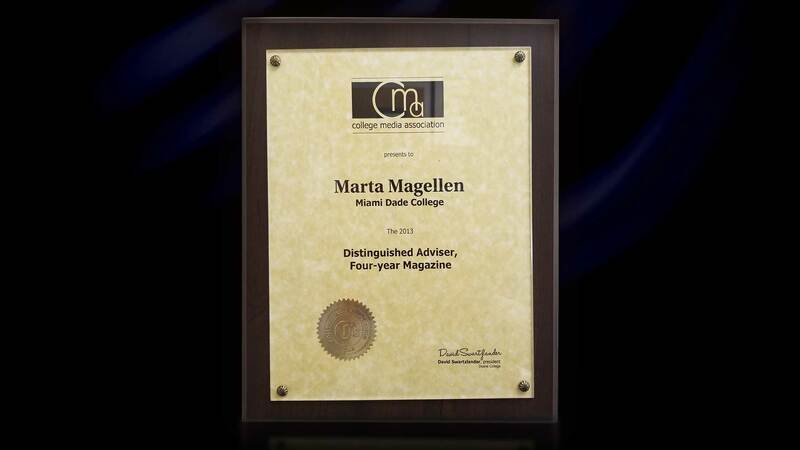 This prestige award was presented to Marta Magellen in recognition for her invaluable service and dedication. 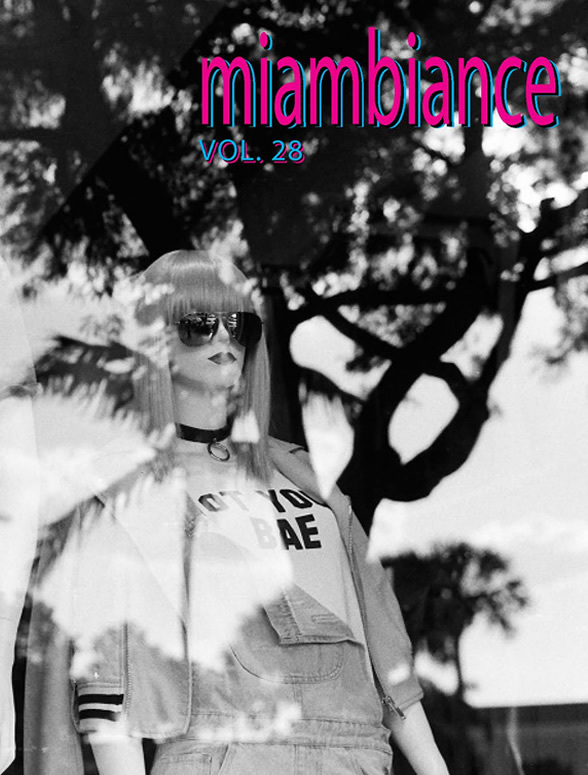 Phone: 305-237-2284 Email: miambiance@gmail.com Please call or email for appointments.